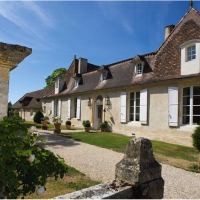 The latest Le Tour De Finance seminar, which was held on the 15th November at the magnificent La Chartreuse du Bignac hotel near Bergerac, was yet again a successful event with maximum attendance. 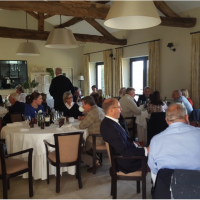 Attendees, who were a mixture of existing clients of The Spectrum IFA Group and those wanting to hear more about the services and financial solutions presented, had travelled both locally and from other regions in France. Presentations were given by representatives from Prudential International, Tilney Investment Management Services, Currencies Direct and The Spectrum IFA Group. Topics discussed included recently introduced changes to Assurance Vie (the most tax efficient savings and investment vehicle available in France), the suitability of transferring UK pensions to overseas schemes, investment market outlook and the current sterling to euro exchange rate and solutions available to help mitigate exchange rate volatility. Unsurprisingly, Brexit featured widely in the informative question and answer session that followed. 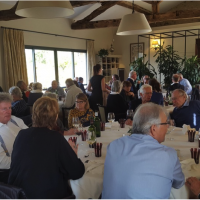 Although many answers are yet to be determined, attendees were left reassured that The Spectrum IFA Group and its partners were well informed on both the technical detail of Brexit and the practical implications for anyone living or working in France. Portability of financial products, such Assurance Vie, for an expatriate returning to the UK, was another area of interest in the question and answer session and guests were provided with example scenarios regarding the flexibility that such products offer. The key message that came out of this event was the importance and benefit, even for the financially experienced, of seeking professional, independent advice. The audience was reminded, in these uncertain times, that it is critical to ensure that all aspects of our personal finances are properly structured, for both legitimacy within the French fiscal system and for maximum tax efficiency ahead of any potential changes in the months and years ahead. 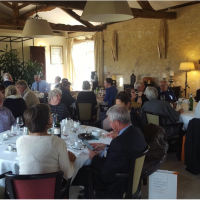 Questions and discussions continued during an informal lunch (in the chateau’s beautiful dining room), during which guests and speakers alike found no shortage of topical subjects for conversation. We are planning to hold further seminars next year and will provide details on Le Tour de Finance website. See www.ltdf.eu for further information. The Spectrum IFA Group is committed to providing a professional financial advice to the expat community in Europe. The Spectrum IFA Group operates in a number of jurisdictions with 12 offices in France, Spain, Italy, Switzerland, Luxembourg and the Netherlands with over 40 advisers. Contact Spectrum IFA direct about: "Le Tour de Finance autumn events"
New QROPS tax charge for 2017 – Will this change after BREXIT?